Dr. Phil is a popular psychologist who teaches a technique called Uncensored Talking. In a group, he invites someone to come up and start talking, uncensored. He stands behind them and taps them on their shoulder if he hears them censoring their talk in any way with respect to impression management, others’ feelings, or self-justification. As he taps away, the censored talking soon becomes honest, tearful confession. I am ugly. I am a failure. I am to blame. Uncensored talking illustrates the essence of putting on sackcloth. Sackcloth is made of goat’s hair and is the coarsest of fabrics. Only prisoners, the poor and mourners wore sackcloth. When the Ninevites put on sackcloth, they were praying to God and admitting to the world that they were spiritually poor and guilty as charged. This humiliating, naked declaration of insufficiency is the essence of prayer. 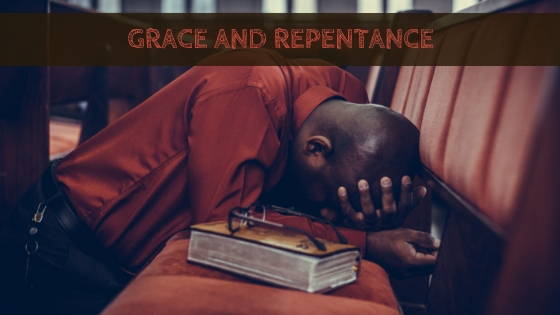 Kindness (grace) leads to repentance. When grace points out our sin, and we clearly see that our strength and goodness is not enough, there we stand, naked and vulnerable. That is where God-ward prayers are born – prayers of confession leading to prayers of dependence leading to prayers of hope. And hope does not disappoint because the Spirit in us cries out Abba! Father! The church planter is often viewed as the gifted and strong one. But if the gifts and strengths are genuine, they come from the Spirit within. Charisma comes from the Greek word karis or karismata, meaning grace or gift. Your greatest strengths find sustenance only by admitting your greatest weaknesses. Lord, All day long, I justify, spin, manipulate, censor and lie. I am scared of being seen for who I really am. Help me to come clean and hide behind nothing but the cross of Jesus Christ. Amen.